Make this stylish pillow out of your favorite prints and solids! 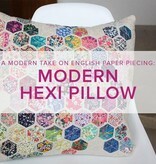 Modern Hexies is a fun project based on traditional English paper piecing. Learn hand and machine sewing techniques in addition to rotary cutting, pressing, trimming, making a quilt sandwich, and quilting with a walking foot. 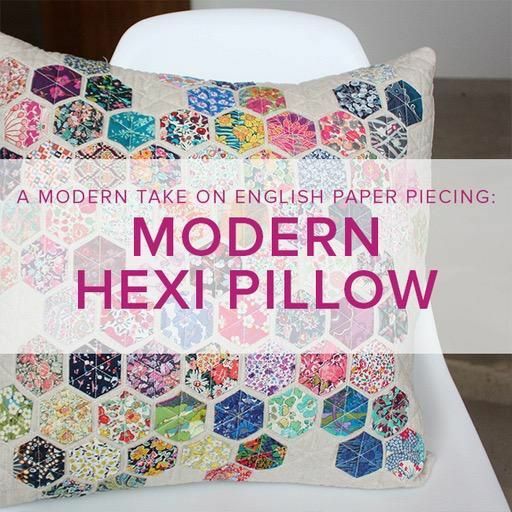 While this might be your first hexi project we guarantee it won’t be your last! Please purchase supplies in advance of your class. If you plan to shop for supplies the day of your class we recommend arriving at least an hour early. Please do not pre-wash your fabrics.